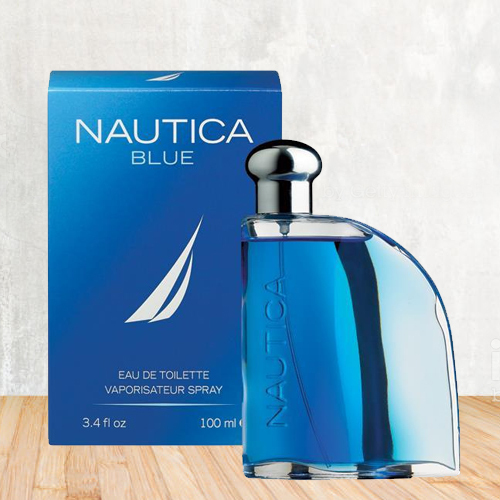 Gift your dear man with Nautica Blue EDT. It is as fresh as gentle breeze of the sea. It gives a cool sensation in hot hours. The smell of the fragrance lasts for pretty long hours. It is available in a bottle of 100ml. Flowers Delivery Sonepat, Send sweets Patiala, Wedding Cake Valsad, Diwali Mithai Behrampur, Send Flowers and Gifts to Cuddapah, Online Shop Jodhpur, Flower to Jalandhar, New Year Flowers Sambhalpur , Fresh Fruits Kota, Send Gift Secundrabad, Dry Fruits to Kozhikode, Birthday Delivery Tenkasi, Sending to Durg, Flower shop Gaziabad, Bhubaneshwar Online Cake Delivery.